I read an early draft of Invented Lives a year or so ago; it was almost wonderful then but now it really is wonderful. 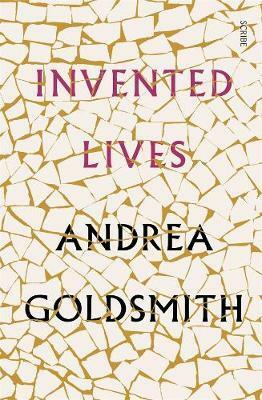 What I like most about Andrea Goldsmith’s work is that it manages to combine a domestic intensity with big themes. These are stories about people struggling to make sense of their lives, but the forces that impact their lives are much larger than them. It’s 1985 and Reagan and Gorbachev have met and that meeting is a precursor to the disintegration of the Soviet Union. Anti-Semitism is a fact of life for Jews in the USSR and with the thaw, Jews are permitted to apply to emigrate to Israel. Galina and her mother are secular Jews but their ethnicity touches their lives all the time. Shortly before their papers are issued, Galina’s mother dies and, after a chance meeting with a young Australian artist studying in Moscow, she decides to go ahead with the emigration but resolves to go to Australia, not Israel. Some time after she arrives, she decides that it wouldn’t hurt if she tried to make contact with the Australian. She is drawn into the orbit of his family; superficially comfortable, and settled. As she becomes closer to them, she realises that their lives are not as straightforward as they appear, and that they have secrets and secret desires. Galina, too, has secrets that follow her to her new country. Goldsmith is a masterful storyteller who explores the complex themes of identity and love in her latest novel. Invented Lives deserves a wide audience.